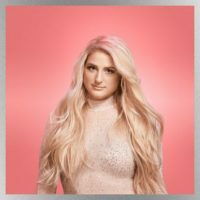 Epic RecordsMeghan Trainor has released the video for her song “Marry Me” and – not surprisingly – it also doubles as her wedding video. It features snippets from her December nuptials to Daryl Sabara, including the getting ready, walking down the aisle, vows and reception. It even includes shots of the surprise dance routine Daryl performed for Meghan. Meghan wrote “Marry Me” just a month after meeting her now-husband. They ended up walking down the aisle to the song. “Marry Me” is featured on her new EP The Love Train.